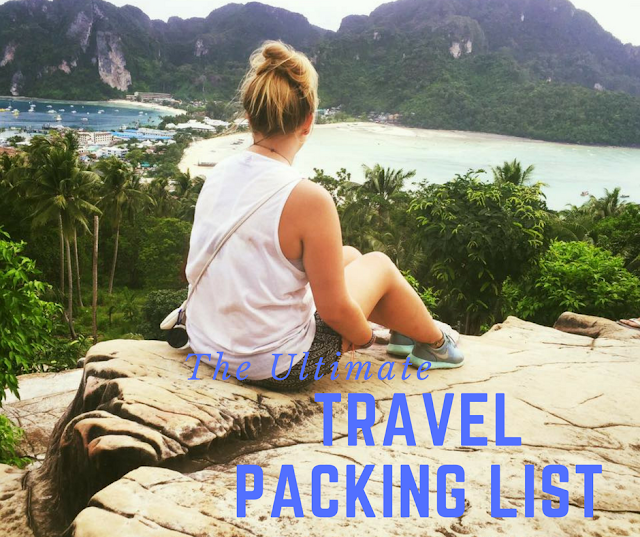 I have put together my ultimate packing list for backpacking South East Asia. I found it really hard deciding what to take with me on my trip and read numerous lists however most things that they said to take I ended up binning ! Travelling South East Asia is pretty easy, its not the third world and you are never too far away from a shop so if you do happen to pack the wrong things you can easily and very cheaply pick up the bits you need. I ended up binning clothes to replace with new ones that I wanted to buy! You probably will anyway but my biggest advice is don't over pack, you will just end up throwing stuff away and thats annoying when you have just been and bought all new thing to take with you! Obviously the first thing you are going to need is a back pack! I picked one that had a small back pack attached that I could use for hand luggage. I spent about £80 on mine however you can find them cheaper. I would also really recommend packing cubes!I got mine for less than £10 on eBay! They made packing so much easier and helped keep things neat and organised in my backpack! I have written everything I thought was essential and what I used. I spent 3 months travelling through South East Asia and a stop in Bali then Australia. 3 pairs of shorts - I took soft ones (that where actually pj bottoms) so that they would roll up small and I took a pair of denim shorts. 2 Vest tops / 2 Strappy tops / 2 T-shirts - again things I could roll up small. t shirts are handy to not burn your shoulders and some places request you cover up. 2 bras – I took one normal, one of those soft ones with no wire (comfy for when your on sleeper buses, planes etc.) I also took 2 Bandeu style bras as they are really comfy and go well under dresses. Sports bra - if you plan on doing adventurous activities you may need one! 10 pairs of underwear – so that you can go a week or so without having to wash. Some days you will just wear a bikini all day. Socks - this depends on what you prefer but i love wearing trainers so I took about 5 pars, although I kept loosing them! 1 light jacket – a water proof one comes in handy as it rains in Asia. 3 swimsuits – I actually took more but didn't reaaaallly need to ! Scarf – Such a multi purpose item! i found a really big weight weight one. Perfect for a cover up when visiting temples, use as an actual scarf, as a towel if needed as a blanket for the beach or if your cold ! Sunglasses - I took two cheap pairs and lost one within a week or two! You can pick up some great designer fakes every where you go so dont worry if you loose them. Leggings - again great for when you are on a sleeper bus or a plane. Tote bag - this comes in so handy if you just hitting the beach for the day and dont want to take your back pack, it will roll up small too. Handbag - obviously you will need something to put your phone money and if you me, bug repellent in while you are out on an evening. I would recommend a small cross body bag that zips up. I took two so that they would match my outfits. A watch - I didn't actually take a watch and I missed it so much! It was really handy when you didn't have access to your phone etc. Towel – I had a small lightweight one which was rubbish! A lot of places do let you hire them or just give you them. Ear Phones & Ear plugs- Another must have! They come in very handy when you are on a jam packed bus and need to sleep. Travel pillow & Eye mask - Such good accessories to have, they helps you sleep anywhere any time! Playing cards - Stops you being bored and helps to make friends with fellow travellers. Note book & Pens - To write a diary of your travels, older you will thank you for it. Tablet / Ipad - I used mine for booking our accommodation, researching the next area and for reading books. Sewing kit - comes in really handy when your bag breaks! Scissors - they come in so handy! I honestly would not bother with a hair dryer or straighteners, its so hot your hair drys in seconds and too hot to use the straighteners! Plus they are heavy so you wouldn't want to carry them about! I have already posted about what in flight beauty items I take with me on the plane so check take a look at that next!